The jazz world is replete with bandleaders playing trumpets, pianos, and saxophones. A bandleader playing the vibraphone is not quite as common, and thereby draws a bit more attention. Yuhan Su is a vibraphone playing bandleader. Rest assured, she knows what she’s doing. 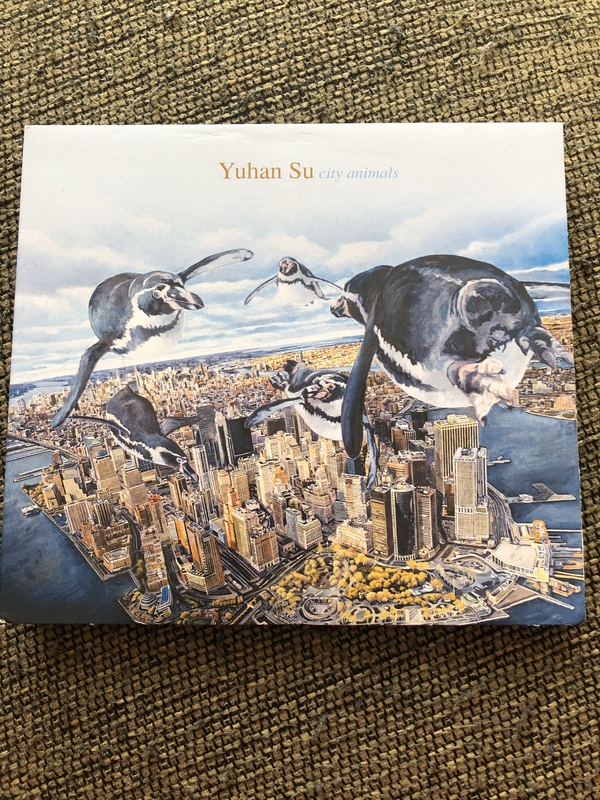 Su’s new album, City Animals, is a loving tribute to her adopted hometown of New York City, which can seem like a hyperactive jungle landscape to the uninitiated. A native of Taiwan, Su came to America in 2008 to study at the Berklee College of music in Boston. While there, the classically trained musician learned the ways of jazz and improvisation. Four years later, she moved to New York and immersed herself in the jazz scene, leading her to write compositions for a quintet. Su uses her sense of harmony and timing brilliantly on City Animals. The opening number, “Y El Coche Se Murio,” establishes a marvelous 15/8 groove, which doesn’t seem possible. But with the support of bassist Petros Klampanis and drummer Nathan Ellman-Bell, the tune sits nicely in the pocket, enabling Su to explore both melodic and harmonic possibilities, with Matt Holman (trumpet) and and Alex LoRe (saxophone) offering their lead lines to the proceedings. The other compositions, like “Feet Dance” and the title track, are equally groovy and well-paced. This band clearly has a lot of experience playing together. The band’s music is highly respectful of the jazz that has come before it, yet offers a modern touch as well. Su’s tone either floats beautifully over or simply plows right through the rest of the band (in a good way) depending on the overall tone of her composition. She is also more than capable of falling back and creating lovely harmonic tones for her bandmates to play over. Like any great musician, Su plays from the heart, not the ego. City Animals is much like people’s perception of NYC: frantic, layered, multi-faceted, and the producer of great beauty worthy of admiration and emulation. To miss this album is to pass on one of jazz’s fine young talents.